1. Pour concrete pad a minimum of 3 inches thick. Insure that this pad is LEVEL! 2. 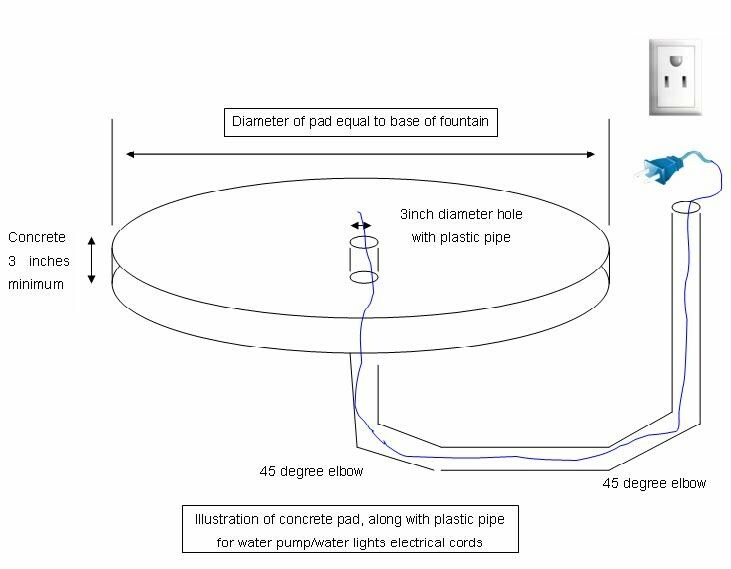 Pad diameter should be at least equal to base of fountain. 3. Center of concrete pad should have a 3 inch hole for plastic pipe to run to electrical box.